Treat yourself to the cupcake case which has a snug fit and textured design. 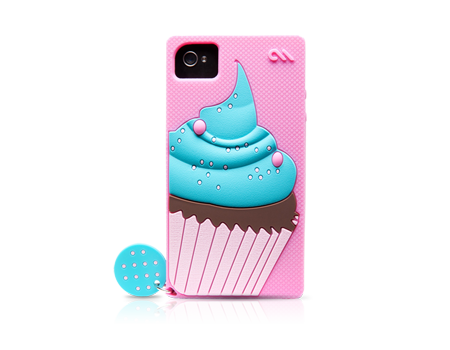 Treat yourself with the Delight Cupcake iPhone 4/4S case. The confectionery case adds a sweet, snug touch with a colorful design. The raised cupcake design makes for an easy-to-hold grip. A textured dot interior keeps the iPhone snug, while the silicone case protects the sides and back. The innovative lay flat design protects the screen from surfaces. A matching sprinkle key charm is the icing on the cake.